Three tips if you aim to create impact in your community: Collaborate in networks! Build bridges with people who are different from you! And first and foremost, Just do it! Paul Born got a chance to lead a workshop in Berlin, on community conservations, with Engagierte Stadt team members, in May. 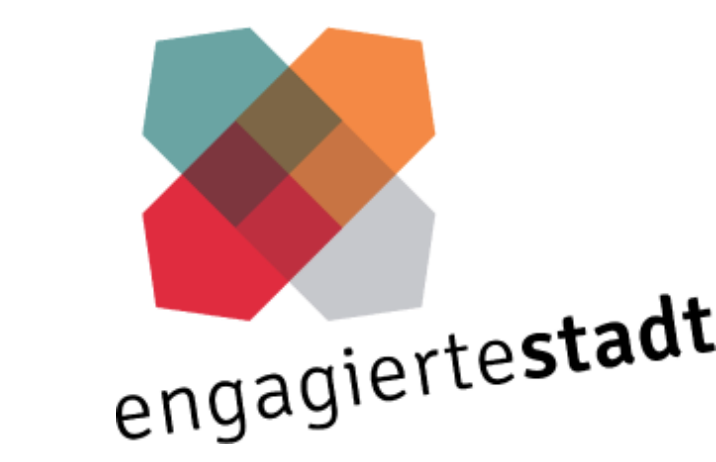 Engagierte Stadt is a program, supporting 50 cities in Germany that start community conversations in their own cities to foster citizen engagement and strong cooperation between the economy, administration and the civil society. The Ministry for Family Affairs, Senior Citizens, Women and Youth, and six foundations, provides financial advising as well as accompanying support. In following interview with Paul Born, you’ll learn how you can easily start changing your own community. Eva Nemela: What can a single person do if she or he wants to change something in their city? Paul Born: The cultural anthropologist Margaret Mead once said: “Never doubt the power of a small group of people to change the world. In reality it is the only thing, which ever has.” Thus, most important is to find a network to work with. EN: And in your perspective on Germany, what could make it easy and what could make it hard to collaborate? PB: I think Germans have a collective understanding and belief in having to make the world better, which can, maybe, be explained by historical reasons. The leadership that was taken in bringing a million Syrians into Germany is a beacon of light that is very strong for the rest of the world to understand and be inspired by. Collaborating is not only an existential question but also a spiritual question. Regarding this, there is a lot you can build on in Germany. On the other hand, the challenges are that much of your human service system is very policy driven and factual. Thus, I wonder whether we really need to be more worried about a process and how we get things done, rather than just do it and get things done! EN: And how do you engage entrepreneurs in community conversations? This is a difficulty our Engagierte Städte face repeatedly. PB: Entrepreneurs have the ability to enter into a community or a system and innovate. And, in my opinion, we can encourage them to understand and become committed to collective innovation. 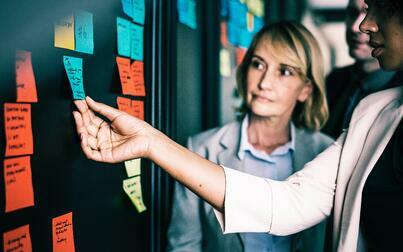 It is very important to involve the people who will benefit the most from the innovation and invite them into designing and targeting change. EN: Who defines what needs to be changed in a city and what does it need to create the change in the city? PB: There are many voices that bring about a desired change, which makes it too chaotic having everybody’s voice on everything. But when we want to introduce things for others – for example, a better day care system for single mothers – then it is very important to do it with them. This approach is based on the understanding that whenever the inclination is “you want to do something for someone” then you need to move back and say now we need them to be involved in making the decisions. EN: Why do you think it is so important for communities to reach goals collectively so that you do it with the expertise of people from different sectors and different backgrounds? PB: Political scientist Robert Putnam’s explains in his book “Bowling Alone,“ why it is important to have diverse conversations. He talks about the type of conversations that are with people who are like you, which are bonding conversations and then the kind of conversations with people who are not like you, which he calls bridging conversations. In bonding conversations, we are essentially with people who look like us and think like us – and I think at that point, the conversation is much more social, argumentative and trying to prove a point or a concept. In contrast, when we do bridging conversations with people who are different from us, we are more inclined to listen to their story because we know intuitively that we do not understand. By bringing people who are different together it evokes a different response. It creates new ideas and new ways of listening to each other. Bridging conversations are very important in community change! EN: Thank you very much! A version of this interview was prepared for the Körber Foundation website. Eva Nemela is the Program Director of “Engagierte Stadt." She was born 1982 in Cologne, Germany and grew up in Berlin. She studied history and ethnology at the University of Fribourg and Yale University in Connecticut, US. For seven years, she has been working for different foundations. Since June 2017, she has been Engagierte Stadt Program Director in the Körber Stiftung. She is responsible for the coordination of the program. It’s a nationwide program with the aim of improving the local conditions for civic engagement. It’s supported by the German Ministry of Family Affairs and six foundations (including Körber-Stiftung).